Last week’s episode of Black Lightning saw the show finally come into its own. “The Book Of Revelations” shifted the season’s arc, providing a number of emotional and narrative revelations that also served to snap the season’s overarching story into focus. Up until last week, Green Light didn’t feel like anything more than a tertiary worry in Freeland. Sure, it was a drug both killing people and giving them superpowers, but the show was so busy with every other story that anything involving Green Light felt purposely sidelined. But, as “The Book Of Little Black Lies” shows, Green Light and the way in which it’s distributed is the anchor this season’s been looking for. The Pierce family and their dynamic has been carrying the show all season long; finally, the plot is starting to catch up. “The Book Of Little Black Lies” is a strange episode in a few ways though. There’s no Tobias and no Lala, which is an interesting choice considering how significant they are in the story of Green Light. 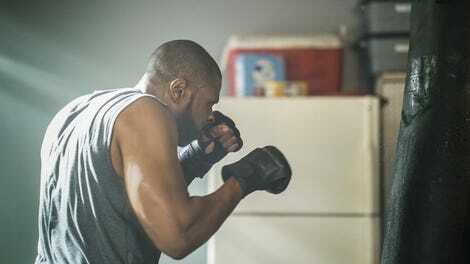 The majority of the episode sees Jefferson and Anissa, as Black Lightning and Thunder, digging into Alvin’s murder, all while Jenn struggles to cope with the idea that she has superpowers, and that her father and sister do too. Anissa telling Jenn the truth about everything is the catalyst for so much of this episode, and it’s a testament to Black Lightning’s storytelling that such a familiar superhero story—the feeling of betrayal after the realization that your family has been lying about their superhero identities— feels complex and compelling. The reason it feels that way, and not overly rote, is because Black Lightning is a show rooted in character. No matter what’s happening with superheroes and villains in Freeland, the Pierce family remains the show’s focus. The amount of time the show spent developing these characters in those early episodes is paying off now, elevating familiar stories into something more meaningful and nuanced. Jenn’s arc in this episode is incredibly affecting because of the attention paid to character development early on this season. Jenn’s various conversations about her powers, with Lynn, Anissa, and Jefferson, are emotionally revealing in a way that doesn’t feel contrived. Anissa can’t fathom why Jenn isn’t excited about being able to help people in need. Lynn just wants her daughter to be safe. Jefferson believes his lies can be forgiven because he was protecting his daughter. In all of this, Jenn and her needs and wants are lost as she struggles to adapt to a new reality. Her emotional, pained conversation with Lynn is maybe the best scene of the season. Jenn weeps as she finally puts her struggles into words: she’s lost her sense of normalcy, her plans for the future. The path from prom and college to marriage and kids has been ripped away from her, through no fault of her own. “I’m not Anissa,” she laments. “I don’t want to save the world. I want to be normal.” It’s a devastating scene. The performances from China Anne McLain and Christine Adams are incredible; you can feel the weight of parental responsibility and anguish in Lynn’s attempts at comfort, and teenage confusion and anger in Jenn’s confession. Black Lightning understands that Jenn and Anissa aren’t the same people, and while that may seem obvious, it’s worth noting. That kind of understanding of character, which influences their actions, is integral to making this familiar story hit its mark. Subverting expectations is what Black Lightning does though. It’s doing so with Jefferson and Anissa as well. Anissa’s transformation into Thunder feels so different compared to the way other superhero shows have handled somebody discovering their powers. The big difference is that the show still puts Jefferson and Anissa’s father-daughter relationship first. Their family dynamic informs their relationship as superheroes. When Anissa tries to comfort Jenn by saying, “this is who you are, who we are,” she sees no difference between her private and superhero life. Her purpose as both Anissa and Thunder is one and the same, and what’s more remarkable is that Jefferson understands that. He may still be protective, but he, and the show, isn’t bothering with unnecessary conflict. Anissa has quickly proven herself as Thunder, and Jefferson is more than willing to give her the respect and freedom she deserves. Just look at his face when she shows up to scout Proctor in her new suit; it’s all pride. Not isolating the Pierce family from each other, and from their lives as superheroes, is proving to be the show’s greatest strength as the season nears its end. The conflicts feel real, rooted in character motivations that are organic and informed by backstory—Jefferson and Lynn’s separation looms large over Jenn’s want for a normal life devoid of superpowers. There’s no contrived, single conflict that keeps the Pierce family at odds with one another, but rather a series of struggles that are more about the ever-changing nature of a family than anything to do with deep dark secrets that are withheld for the sake of TV drama. By continuing to focus on these personal stories, while also expanding the search for the Green Light network and Proctor’s role in everything, “The Book Of Little Black Lies” succeeds in sustaining the momentum of the season’s latter half. I love Anissa and Jenn’s opening scene this week, with the former confirming that the latter has powers. Anissa can’t fathom seeing superpowers as a burden, so she never considers that Jenn might feel differently. The scene is funny at times, but also terrifying from Jenn’s perspective. 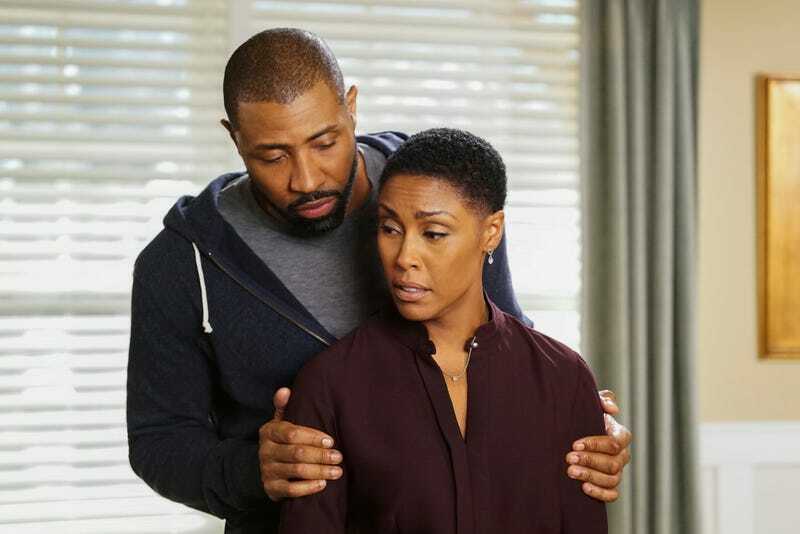 I’m not sure Black Lightning is the kind of show to kill off a major protagonist in its first season, but I’m becoming worried that all of Lynn’s talk about making sure Jefferson, Anissa, and Jenn stay safe is setting her up for tragedy. Another great scene with Anissa and Jenn sees them talking about identity and civic responsibility, followed by Jenn giddily showing her sister a Thunder fan page that’s more popular than Black Lightning. It feels like it’s been a little while since an episode ended with a calm, affecting resolution. This week, Jefferson makes up with Jenn, and they settle in to watch The Princess And The Frog.